Air India Cabin Crews Ordered To Exclaim 'Jai Hind' Aboard Flights, With Fervor The order instructs cabin staff to exclaim the slogan "after a slight pause and with much fervour." It has drawn ridicule on social media where users are attacking the company's flaws. Air India's flight crews have been directed to end all in-flight announcements by saying, "Jai Hind!" The slogan translates to "Hail the Motherland." India's state-run airline has instructed flight crews to enthusiastically "Hail the Motherland" after every in-flight announcement. 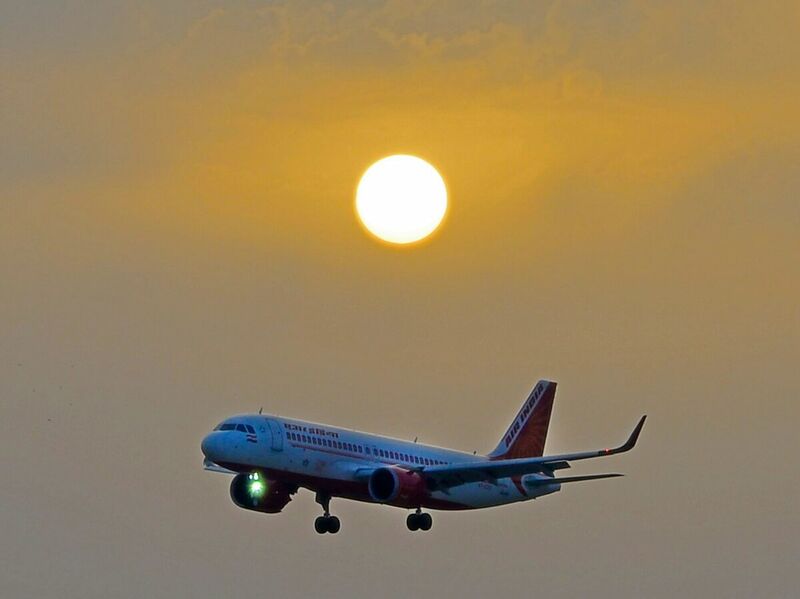 "With immediate effect, all are required to announce 'Jai Hind' at the end of every announcement," Amitabh Singh, director of operations for Air India, said in a companywide newsletter that went viral. For more dramatic impact, Singh suggested crew members take a "slight pause" and make the proclamation with "much fervour." It is not the first time the airline has prompted employees to pledge allegiance. In 2016, Air India officials issued a similar order in an effort to placate unhappy customers, The Indian Express reported. "Faced with numerous complaints from its customers of being 'inhospitable' and 'insensitive,' " the company's chairman at the time, commanded cabin staff make the exclamation, suggesting it would help improve the airline's tattered reputation. This time around, however, an official with Air India told the newspaper, the reminder is in line with the "mood of the nation." The order to proclaim the patriotic slogan follows a military standoff with neighboring Pakistan, part of the countries' long dispute over the region of Kashmir. The latest conflict began on Feb. 14 after a man who claimed to be a member of the Pakastan-based militant group, Jaish-e-Mohammed, killed dozens of Indian paramilitary troops in a car bomb attack within the India-administered portion of Kashmir. In retaliation, India launched airstrike attacks over Pakistan's airspace which ended with an Indian fighter pilot being shot down and held for a couple of days. He was released by the government on Friday in a so-called "peace gesture." The move did ease tensions between the nuclear-armed countries, though it has not quelled the hostility. General elections, coming up this spring, have also been stoking nationalist sentiments — a coincidence not lost on Mehbooba Mufti, president of the Jammu and Kashmir Peoples Democratic Party. She noted in a tweet, "Little surprise that with General Elections around the corner, the josh of patriotism hasn't even spared the skies." While some have welcomed the airline's show of loyalty, the directive has provoked online derision of the cash-strapped airline. "Dear passengers, our flight is delayed by 10 hours. #JaiHind," Twitter user Krishna Murthy wrote. "Passengers should also say Jai Hind if they want Water or anything. And say Jai Hind when food is served. Also, toilet doors should open only if someone says Jai Hind Thrice," Twitter user Joy, quipped online. "Now with this new move, I'm sure Air India will soon become profitable. Jai Hind!" wrote Harsch Goenka, chairman of RPG Enterprises. The BBC reports the company "has not turned a profit since 2007 and a recent government offer to sell a controlling stake in it failed to attract any takers."